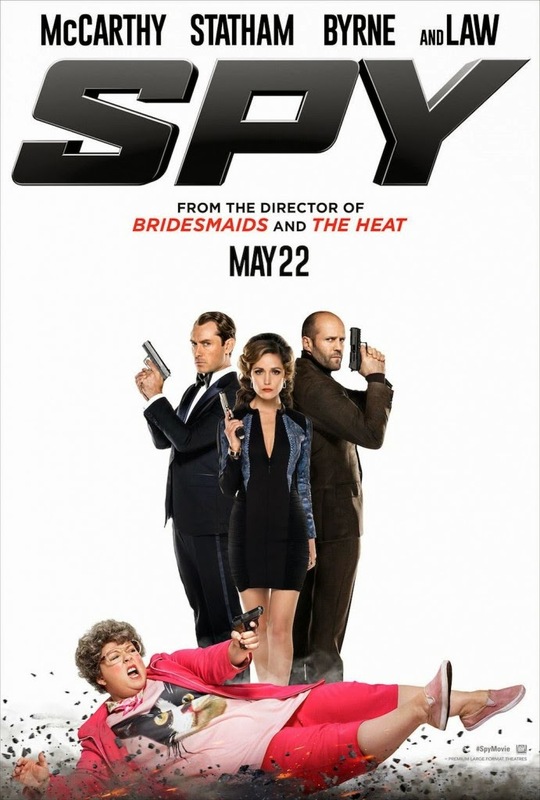 Spy is an upcoming 2015 American action comedy film directed and written by Paul Feig.The film stars Melissa McCarthy, Rose Byrne, Jason Statham, Jude Law, Miranda Hart and Nargis Fakhri. The film is scheduled for a May 22, 2015 release. Susan Cooper (Melissa McCarthy) is an unassuming, deskbound CIA analyst, and the unsung hero behind the Agency's most dangerous missions. But when her partner falls off the grid and another top agent is compromised, she volunteers to go deep undercover to infiltrate the world of a deadly arms dealer, and prevent a global disaster. Principal photography of the film began on March 31, 2014 in Budapest. The film is produced by Feigco Entertainment and Chernin Entertainment, while 20th Century Fox will distribute the film.